Russia has urged Washington and Seoul to reconsider their decision to station THAAD anti-missile system on the Korean Peninsula, warning that it will serve a “destabilizing factor” that could tip the existing military balance in the tense region. “It is not only we who perceived this step very negatively. We are once again urging both the United States and the Republic of Korea to reconsider its expediency and other regional states not to yield to the temptation of joining such destabilizing efforts,” the deputy foreign minister said. 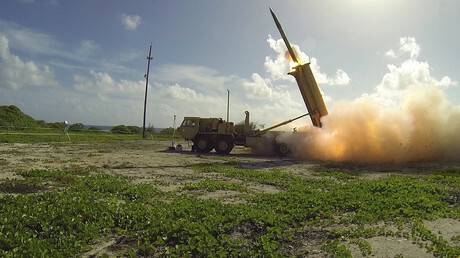 Following a series of nuclear and missile tests by North Korea, Barack Obama’s administration in 2016 managed to strike a deal to place THAAD missiles in South Korea with the declared goal of keeping Pyongyang’s nuclear ambitions at bay. THAAD is designed to intercept short, medium and intermediate-range ballistic missiles during their terminal flight phase. Equipped with long-range radar, it is believed to be capable of intercepting North Korea’s intermediate-range ballistic missiles. — RT (@RT_com) 27 апреля 2017 г. The first elements of the system were moved onto a golf course in Seongju, North Gyeongsang Province, South Korea on Tuesday, prompting clashes between locals and police. The system will be operational in the coming days. “It is moving very quickly, it will (have) initial operational capability very soon,” Pentagon spokesman Captain Jeff Davis said Friday. The illusion of security under the US anti-missile umbrella does not come for free, as US President Donald Trump apparently expects South Korea to pay around $1 billion for the deployment of the THAAD battery, according to his exclusive interview with Reuters. South Korean military officials however made clear that paying for THAAD was not part of the bilateral deal struck last year. “South Korea will provide land and infrastructure and US will be responsible for purchase, operation and maintenance costs for the defense system per regulations of the Status of Forces Agreement (SOFA),”said officials at the South Korean Defense Ministry, the country’s Donga newspaper reported. 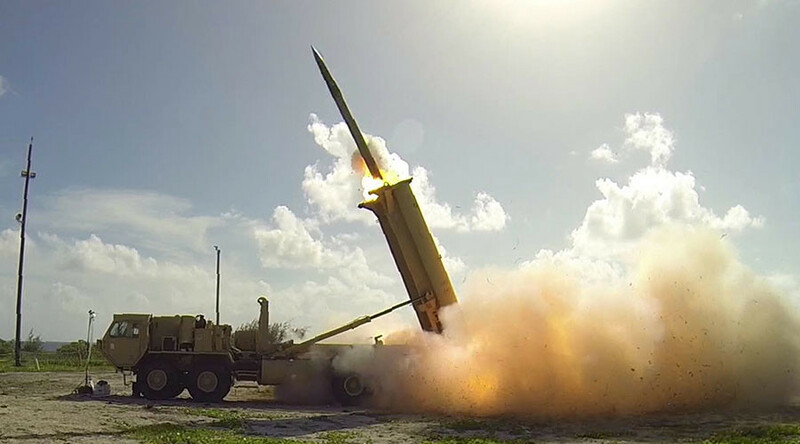 In response to the deployment of THAAD, China announced Thursday that it will continue to stage live fire drills and test new weapons to protect its national security. “The deployment of the THAAD anti-missile system in South Korea damages the regional strategic balance and stability. The Chinese side is resolutely opposed to this,” Defense Ministry spokesman Yang Yujun told reporters on Thursday, when asked about THAAD. Back at the UN, Gatilov condemned the North Korean nuclear buildup and called for talks to find a diplomatic solution to the crisis. At the same time Russian diplomat found some sense in Pyongyang’s argument that it is forced to pursue missile and atomic programs because it perceives US buildup in the region and annual war games with South Korea as a threat to its national sovereignty. 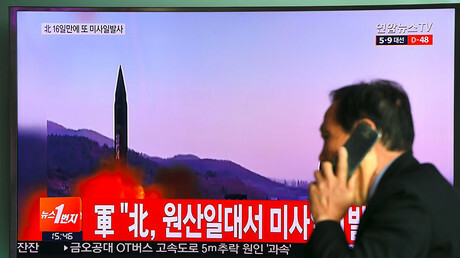 Gatilov’s comments came just hours before Seoul and Washington accused North Korea of conducting yet another test-launch of what is presumed to be a KN-17 medium range ballistic missile. The projectile allegedly exploded “within minutes” of the launch with the debris landing in the Sea of Japan.